Adobe Animate CC 2019 (formerly Adobe Flash Professional) allows you to create the interactive animations for multiple platforms. Complex animations are easier now that the Motion Editor gives you granular control over motion tween properties. Design interactive animations with cutting-edge drawing tools and publish them to multiple platforms. Including Flash/AIR, HTML5 Canvas, WebGL or even custom platforms. And reach viewers on virtually any desktop or mobile device. The leading vector animation toolset helps you work faster and create content that looks terrific on everything from mobile devices to the latest ultra high-resolution displays. Convert existing Flash ads to HTML5 Canvas or create them from scratch, so they’re optimized for any browser. Export to 4K and higher resolutions to make sure your videos will look great on the latest Ultra HD TVs and monitors. Create custom vector art brushes using your devices and save them to CC Libraries. Vector art brushes let you modify the path of a stroke after drawing it and scale to any resolution with no loss of quality. Draw expressive artwork for animations with vector art brushes and the Paint Brush tool. This Adobe software will continue supporting Flash (SWF) and AIR formats as first-class citizens. In addition, it can output animations to virtually any format (including SVG), through its extensible architecture. Vector art brushes. Modify the path of a stroke after it’s been drawn, and scale them to any resolution without losing quality. You can also make custom brushes and import brushes created with Adobe Capture CC. 360° rotatable canvas. Rotate the canvas on any pivot point as you draw to get the perfect angle and strokes. You can even use this feature with a Wacom Cintiq! Improved pencils and brushes. Draw smooth, precise vector outlines along a curve and get faster live previews. Easier audio syncing. Control audio looping directly on the timeline, without having to code. Faster color changing. Naming tagged colors lets you change one color and have it automatically update your entire project. Colored onion skinning. Easily orchestrate complex animations now that adjacent frames can have different color and alpha values. Adobe Stock. Browse and license millions of high-quality photos, illustrations and vector graphics directly in Animate CC. You can even add life to static content by adding animations to them. Creative Cloud Libraries. Access colors, vector graphics and brushes directly as you work. Multiplatform support. HTML5 Canvas, WebGL, Flash (SWF), AIR, video, and custom platforms (such as SVG) via extensions. 4K+ video export. Export videos with custom resolutions for the latest Ultra HD and Hi-DPI displays. Custom resolution export. Revitalize older content by resizing and optimizing them for any resolution, such as Ultra HD and Hi-DPI displays. .OAM support. Export your project as an .OAM file for easy importing to Adobe Muse, InDesign, DPS and Dreamweaver. Assets at your fingertips with Creative Cloud Libraries. Browse and access brushes, colors, graphics and other creative assets in libraries that are available in Animate and other Creative Cloud apps. Find the perfect asset in Adobe Stock. The new Adobe Stock marketplace lets you find, license and manage royalty-free images and vector graphics from directly within Animate. Choose from 45 million assets. Design with Adobe Typekit. Access thousands of Adobe Typekit fonts from right within your font menu and apply them to your Animate web projects. Greater flexibility with vector art brushes. New vector art brushes let you modify the path of a stroke after it’s been drawn and scale to any resolution without loss of quality. Easily sync audio with your animations. Attach and control audio looping directly on the Timeline for perfect synchronization without having to code. Color changes made easy. Name tagged colors so you can change one and have it automatically update across your entire composition. Colored onion skinning. Easily orchestrate complex animations now that you can see multiple adjacent frames with different color and alpha values on the stage. 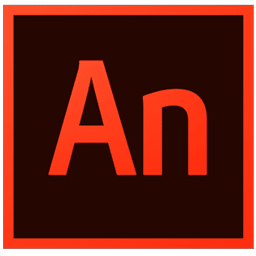 Adobe Animate CC 2019 is part of Adobe Creative Cloud. That means you have access to all the latest updates and future releases the moment they’re available. Sharpen your skills and master new tools with a rich library of training videos. 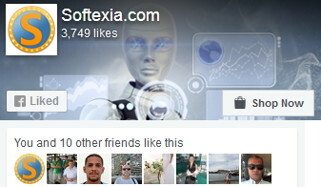 And with Behance integration, you can share your projects and get immediate feedback from creatives around the world.